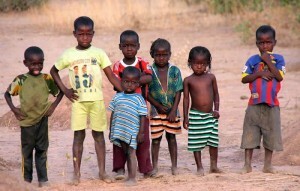 With nearly half of the population living below the poverty line, Burkina Faso is one of the poorest countries in the world, ranking 134 out of 137 in the human development index. 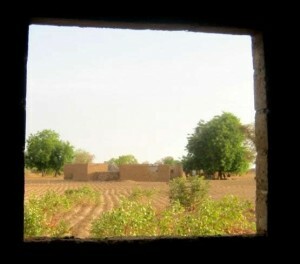 Around 80% of Burkina’s 16-million person population lives in rural areas, where basic necessities are generally lacking. With the literacy rate at just 21.8%, people are extremely dependent upon the land and the weather for work. Our Master Unit is situated just at the edge of an artificial lake in Bissiri village, deep in the country side of Burkina Faso, 45 kilometers south of the capital, Ouagadougou. In a radius of over 10 kilometers there is no clinic, no secondary school, no road, no running water and no electricity. The landscape resembles Ananda Nagar’s in India, with its dry, red rocky soil and rare vegetation characteristic of hot and dry climates. 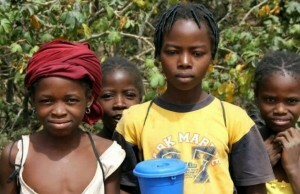 It is home predominantly to the Mossi people. So far we are running a small dispensary, evening literacy classes, agro-ecology trainings, organic vegetable and orchard cultivation and a traditional bakery. We are also currently building an agro processing facility which will first focus on Moringa (drum stick tree) by-products such as dried leaves powder, used as a food supplement to combat malnutrition. Our jurisdiction touches directly a population of over 5,000 people. In cooperation with AMURT Italy we decided to build a secondary school (JHS) to give the students coming from primary (public) schools access to the secondary level. We are now building the school, complete with 4 classrooms, administration office & storeroom. Plans are to start this year with the 6th grade and progressively grow, year after year, following the first batch. We envision a school that will foster the values of Neohumanism in a rural context. Our wish is to bring a team of experienced teachers from the already established Neohumanist schools in Haiti to train our local teachers here. We dream in the future to expand our services to offer practical trainings such as income generating activities, agroécology (aiming at local self-sufficiency, environmental care and ethical living through use of ancient farming techniques and good sense), etc. Pictured below are children watching the construction of the school!